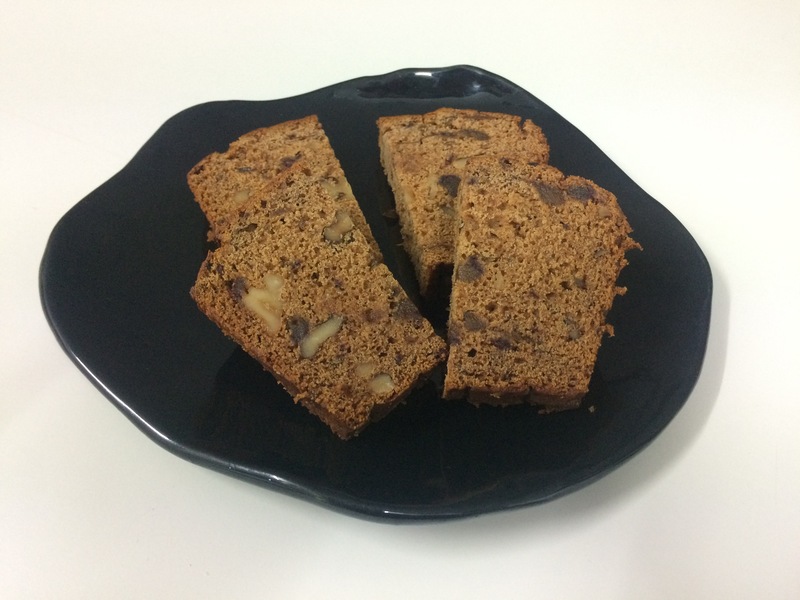 Date and Walnut Loaf is a simple and quick recipe that is delicious with or without butter. To release the flavour and soften the dates, they are first soaked in a brown sugar syrup with butter and walnuts, then the wet mixture is added to the dry ingredients to make the final batter. You can use fresh Medjool dates for a more delicate flavour, or dried dates for a richer version. You can also experiment with additional spices such as ground cloves, ginger or nutmeg. If you want to make a gluten-free version of this recipe, you can use a commercial gluten-free flour mix available in supermarkets. You can also make up a mixture of rice and tapioca flours with potato starch as described here. To convert to a self-raising version, add 2 ½ tsp baking powder to 300 g flour along with 1 tsp bicarbonate of soda as in the main recipe. If you wish to make a vegan version of the recipe, you can also replace the butter with an equal weight of coconut oil. Pre-heat oven to 180 ºC (fan-forced). Put dates, walnuts, brown sugar and butter in a saucepan. Add the boiling water and stir over medium heat until butter is just melted. Sift flour, bicarbonate of soda and cinnamon into a large bowl. Add butter mixture and mix well. Fill into a greased, paper-lined loaf pan (21 x 11 cm base) and bake 45 min or until a skewer inserted in the centre comes out clean. Allow to cool for 5 min before turning out. Serve with or without butter.